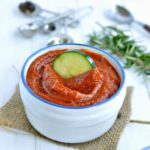 Low Carb Homemade Sugar free ketchup recipe. 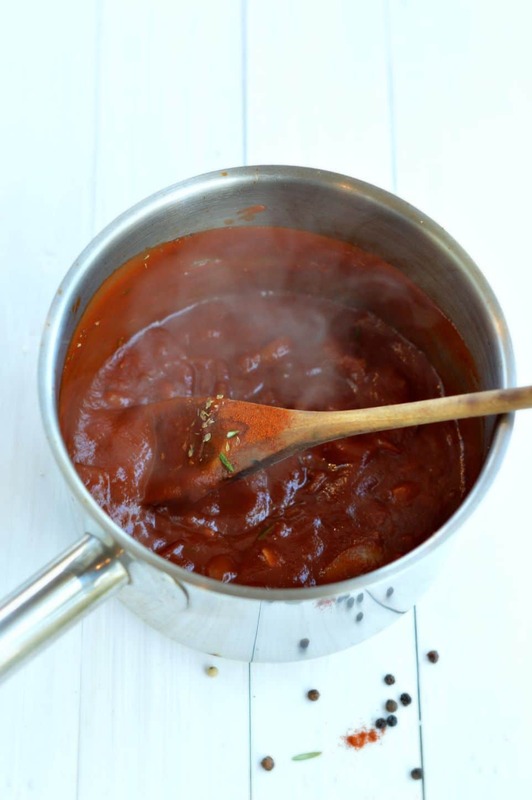 A delicious and easy clean food recipes to enjoy some healthy tomato sauce with your low carb french fries. This recipe post is not only about sharing a new recipe but also to confess my ketchup addiction. 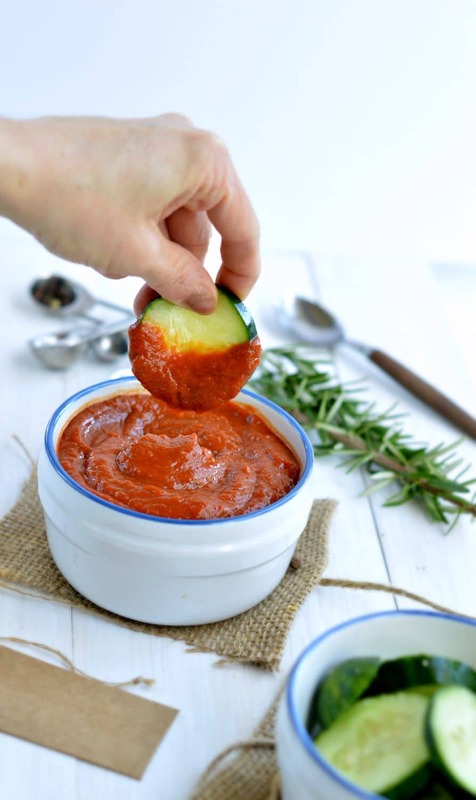 Well, yes I have to admit that even if I ‘eat clean’ most of the time I very addicted to the red sauce with my grilled meat or even as an appetizer to dip some cucumber slices. I know it is bad for someone who had diabetes to eat ketchup. But I have to confess that I am very in love with Watties Ketchup since I arrived in New Zealand and it is the only ‘unhealthy’ ingredient I keep buying for myself the past 2 years. I know it contains as much sugar as some biscuits or candies but well, I convinced myself that one tablespoon a ketchup from day to day will not kill me right? And yes, it did not. But now that I am a mum and that my 2 years old girl is copying each of my move I begin to be more concious about everything I do specially my eating habits. She started to love ketchup too and even if I am not giving her more than a tablespoon from time to time, I thought it was a bit wrong to not giving her candies but still ketchup. But do you how much teaspoon of sugar there is in ketchup? 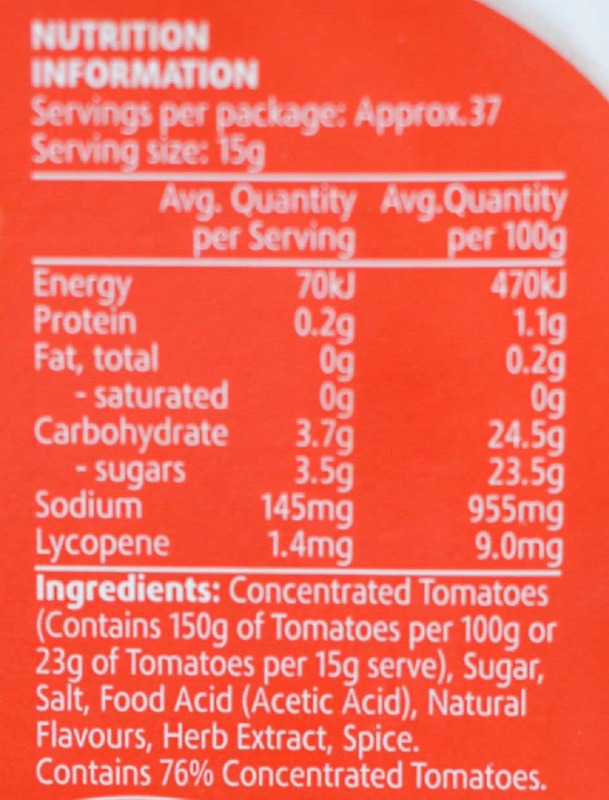 When you read the nutrition panel of any ketchup brand you can read that there is about 1 teaspoon of sugar for each tablespoon of ketchup that you eat . After I read that the new World Health Organisation sugar intake recommendation for kids is to do not exceed 4 teaspoon of added sugar per day. Ouch! I am so wrong by giving her ketchup I thought and this definetly kick my a** to get back in the kitchen this morning and to develop a sugar free ketchup recipe using my new favourite stevia Natvia. I love it because as I already tell you before this stevia do not have the bitter after taste that I hate in any previous brand I tried. Also I simply love stevia because it makes everything a little bit guilt free as it does not contains calorie – or very few. As you can see below the result is amazing with a lovely thick tomato texture. As I did not want to spend hours in the kitchen and as it is winter it is probably not the right time to buy fresh tomatoes. They cost a arm and does not taste very good right now. So instead I bought good quality – organic- tomato puree and tomoto paste with no added salt at the store. I double check the ingredient list to make sure it was 99% tomatoes inside and no nasties added or there is no point to make homemade ketchup. So this is all you need to start this recipe. As it was my first time making home made ketchup I inspired myself by this recipe ketchup sugar free mom from sugar free mom. I actually love lots of her recipes. 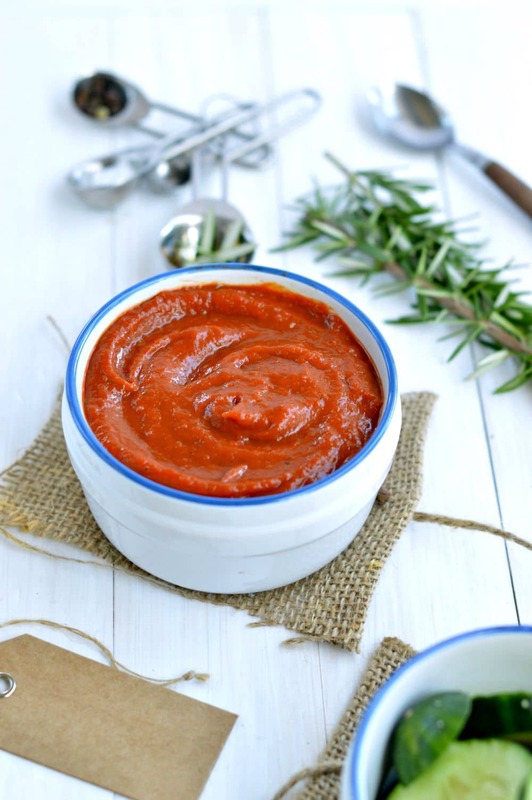 Her sugar free ketchup recipe is quite different as she is using honey but it sounds delicious too and it is probably a good alternative for those who do not like stevia. If you want to try honey in my recipe, I would recommend to use 4 tablespoon of honey instead of the 2 tablspoon of stevia powder and then to adjust to taste. I will probably give it a try for my next sugar free ketchup batch. It did not take too long to make this recipe as it only required to chop some onions and garlic and about 15 minutes of cooking time. The most time consuming for this recipe was probably to clean my hands each minutes while trying to capture mouthwatering picture for the blog. Ahah well, at least it means it was too good to wait lunch time to be enjoyed. The colour is slightly lighter than the store bought ketchup but the taste is very similar to me. I simply love it and I can’t wait for my girl to come back from day care to try this amazing recipe. Hopefully she will love it too. This is a very simple ketchup recipe that makes about 300g of ketchup. In a saucepan under medium heat warm the olive oil. Add the finely chopped onions, garlic and paprika. Fry until the onions gets softer and well coated by the ground roasted paprika. It could take 3-4 minutes. Reduce to low heat and stir in the tomato paste and apple cider vinegar. Simmer for 1-2 minutes while constantly stirring with a spoon or spatula . Stir in the tomato puree, natvia and dried oregano. Reduce to low heat and simmer for 2 more minutes until the liquid thicken. Adjust with salt and pepper if desired. Remove from heat and using an immersion mixer blend until smooth. Store in the fridge up to 1 week in a glass mason jar or airtight container. This recipe serve 20 portions. Nutrition panel is for one portion. Hi. I will have to try this after we run out of the ketchup that we have. Thank you for sharing this with us. Hi! My pleasure, my family love this simple recipe so easy, healthy and cheap to make. Enjoy 🙂 Carine. Hi Debbie, I am so glad you love it ! Good idea to blend the ketchup to make it smoother 🙂 I also do my own BBQ sauce now it is so much healthier when homemade! See you soon on the blog. Carine. I notice that in your sugar free ketchup, the recipe says oregano, but in your photos you have rosemary – can you use either according to taste or is one better than the other? Looking forward to trying this! Hi Tosh, Good spotting! You are right I love adding a bit of rosemary in my ketchup recipe sometimes. The recipe I shared is the one I do regularly but I love to alter this recipe each time now by adding different spices. Lately I added a bit of smoked paprika to make a smoked ketchup, it taste almost like BBQ sauce and I love it. I recommend you to follow the basic recipe first and then, be creative and add some of your favorite herbs and spices to make it your own fav ketchup! Enjoy. Carine. Omg this is soooo yummy. So glad i came across this ? Hi Claire! I am glad you love this sugar free ketchup recipe. This is such a great way to enjoy a guilt free tomato sauce right? I hope you find even more healthy recipes on the blog. Carine. Hi, what should my proportions be if I want to use fresh tomatoes? Hi Neha, I would love to give you a perfect answer but as I did not use fresh tomatoes I have got no idea of how many tomatoes you need to make the tomato puree. I always use organic canned tomato puree and tomato paste. It is super fast and no nasties added. Enjoy the recipe ! Carine. Hi Polly, The tomato puree in NZ is the same as passata. The tomato paste is a thick concentrated tomato mixture that you can buy in tube or small pot. 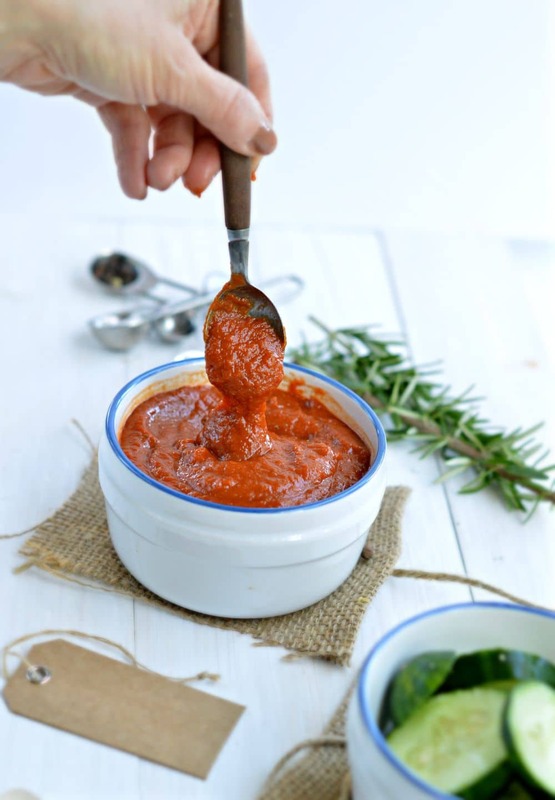 A mix of passata and tomato puree in tube will make the recipe perfect! Let me know how it goes! 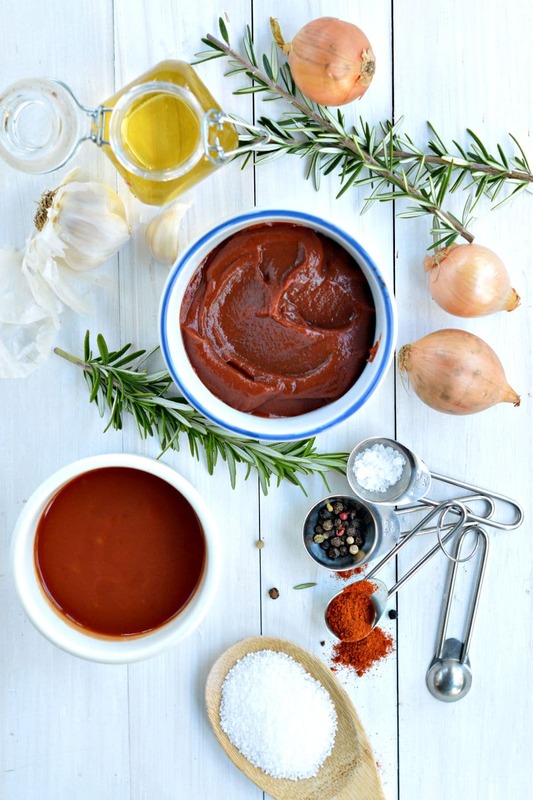 My family loves this clean food ketchup recipe ! Thanks for reading the blog and testing my recipe ! xoxo Carine. What is the carb count for this. A portion of ketchup contains 1.9 net carb. This recipe serves 20 portions. The full nutrition panel is available after the recipe card. Enjoy the recipe. xoxo Carine. I never freeze my ketchup but I am sure it will work well. It is basically a tomato sauce ! Enjoy the sugar free recipes on the blog. XOXO Carine. How long can you store this ketchup in the fridge before it spoils? Hello! I store mine for up to 3-4 weeks in the fridge in a glass mason jar. Enjoy the recipe ! XOXO Carine. Sounds like a good sugar free recipe using stevia! 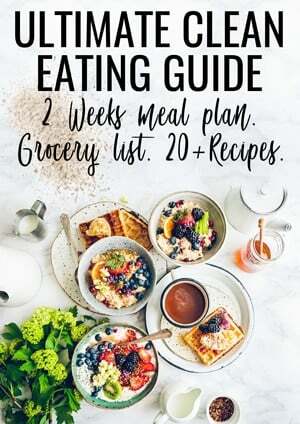 I’ll be trying it very soon, as I have been winging it with my own recipes for a few months. THank you. It is a nice simple ketchup recipe that me and my kids enjoy. I hope you will love it too. Thanks for reading the blog and trying my recipes. XOXO Carine. I don’t know what brown onions are, so used 1 small yellow onion. For sweetener I used 1 1/2 TBSP xylitol. Love this recipe and how easy it is. My third attempt at finding a homemade ketchup recipe that was edible. This is definately a keeper. Thank you. Brown onions are small onion slightly less strong than yellow onion. You can use any onion you like for this recipe. I am so glad you enjoy that ketchup. Have a great time trying my recipes and thank you SO much for the beautiful comment. XOXO Carine.